It was my first time in Detroit. I had always considered the Motor City as one of the main automotive Meccas I had to visit at least once. 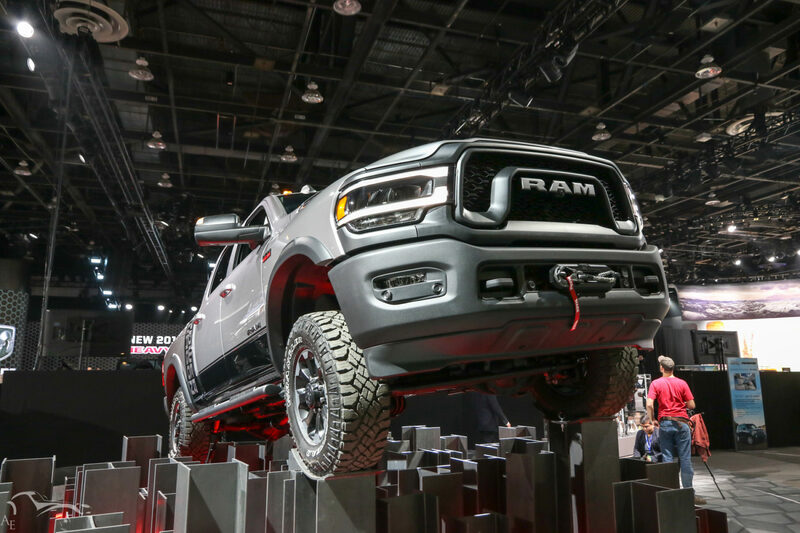 The North American International Autoshow presented the perfect opportunity to go there in 2019, as it was the last year this autoshow monument (along with motorshows in Frankfurt, Paris, Geneva and Tokyo) was held in January. In fact, next year, the NAIAS will be held in June. Why such a sudden change after years of this event held in January? Back when I was a teenager, I remember the Detroit Autoshow (as it was historically called) was the motorshow that would set the automotive reference for the whole year. Just as the Geneva and Tokyo Motorshows, it is held every year, but just as Frankfurt and Paris shows, a lot of manufacturers have throughout the years decided to skip what used to be the biggest show in the industry. This year was no exception. Shows have become more and more expensive for the car brands, and the public is not as interested in these big fairs as it used to be. To me, this is kind of sad, as the first big car event I ever went to, which helped grow my passion, was the Geneva Motorshow. Nowadays, car manufacturers prefer organizing smaller, cheaper events both for the press and the consumers, where, as well, they do not risk to suffer from the presence of too many, if any, competitors. Detroit. The Motor City, is basically going through the same kind of crisis. And it is not the first time this city has undergone major changes that will change its shape. I took the opportunity while I was in Detroit to visit the Ford Eau Rouge factory. Just as Detroit itself, it used to be big. It used to be bold. It used to be huge. Nothing would stop it. At its peak, the factory had over 140000 employees, and everything was made in house, from the steel frames to the glass windows, and of course the final assembly. Today the factory is only the shadow of its own glory. 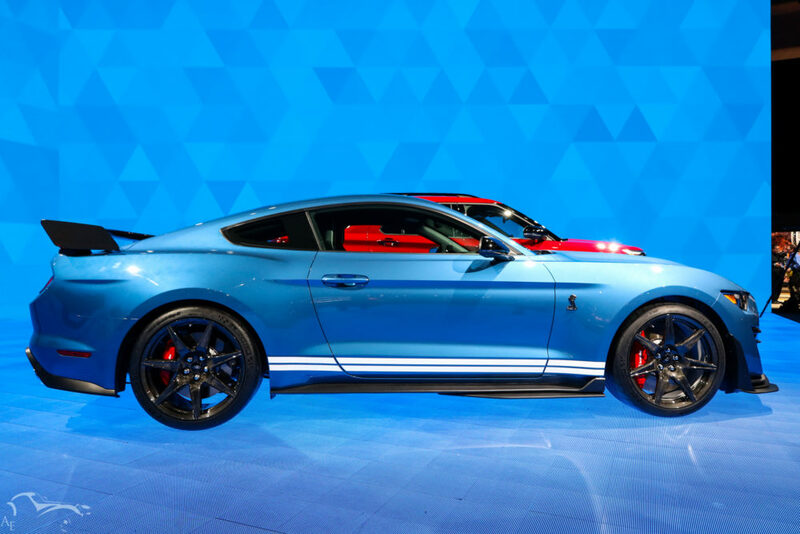 It barely counts 8000 employees working and in vast majority doing assembly of Ford’s American pickup icon, the F-150, and its legendary muscle car, the Mustang. The recession has not only hit Detroit’s iconic and most historical manufacturer. The other two big players have suffered from the same trend: Chrysler, and General Motors. Their respective factories in Detroit have reduced their size throughout the years to focus on assembly, subcontracting as much as possible parts to other manufacturers, in an attempt to reduce cost, mainly. I am very unsure this subcontracting-everything-because-it-is-not-our-core-business strategy will turn out in the future, specially when you see companies like Amazon which tries to extend its business ventures to everything which is slightly or part of their model. But this is not the point of this article and it will deem a full article on this topic alone. So let’s get back to Detroit and its NAIAS. 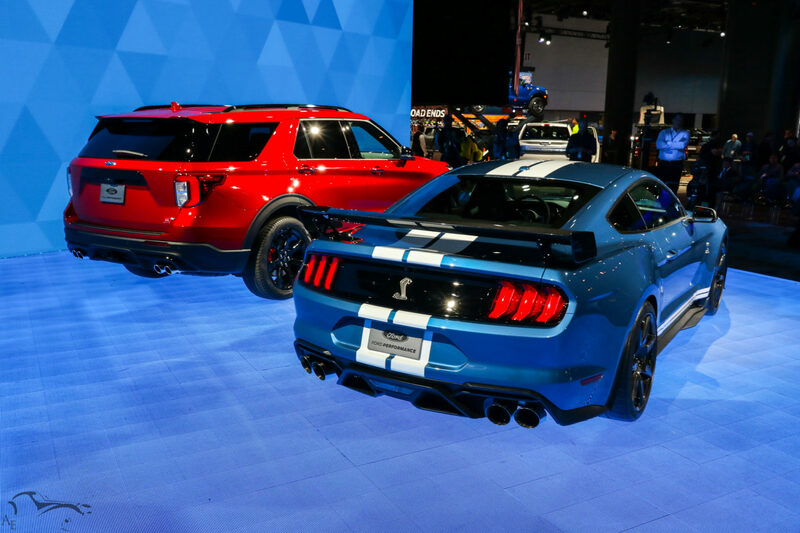 So, of course the big three names were highly represented at the NAIAS, and even all the major American car manufacturers were present at the Autoshow with major launches for each of them. Although, from the European side, the entire BMW Group (BMW, Mini, Rolls-Royce) and the entire Daimler Group (Mercedes-Benz, Daimler, Smart) had completely skipped the show. Mercedes decided to present its brand new A Class at the CES in Las Vegas just a few days prior to the NAIAS. Did someone say shift in consumer and marketing trend? Not presenting its new car at the aging, US-car dominated Detroit show, compared to bringing it at the almost new, tech-focused CES in Las Vegas, was, to my car-enthusiast opinion, a shame. Shame on you Mercedes-Benz. Just only to respect the history of the NAIAS, what it brought throughout the years to your brand in the United States, you should have been there. And same goes with BMW. The only german group there was VAG, with one brand Volkswagen. Since 2015, the group, and its major brand, VW has suffered tremendous consumer appreciation from the dieselgate. Therefore, the brand from Wolsheim decided, once again, to be the only brand from the group, and only german car manufacturer in Detroit to try and reconquer its lost reputation. The other major european car group, FCA, Fiat Chrysler Automotive had as well a downsized approach with all their brands located in the same area, almost on the same stand with Fiat (actually, only Abarth was present), Dodge, Jeep and of course RAM. Alfa Romeo had a separated stand though, probably to try and increase their sales, which have not been as good as expected so far. Nothing though from Maserati, or Ferrari. At least from the asian car manufacturers, most of them had decided to be there: Acura, Honda, Lexus, Toyota, Nissan, Hyundai, Genesis, KIA, and Subaru, but no sign from Mazda. The brand had decided to skip the show this year. 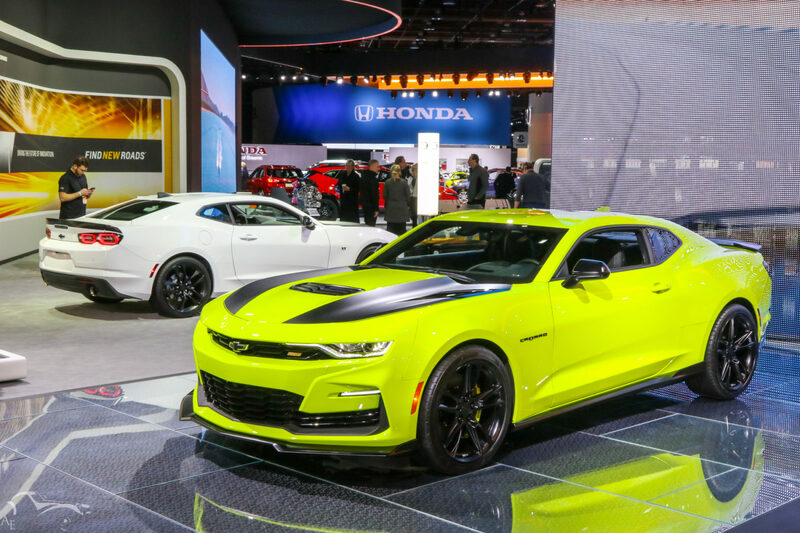 Like the other manufacturers absent, they preferred to focus on car shows with increasing popularity such as the one in Los Angeles or New York. And this makes me very sad too, seeing manufacturers completely forgetting what they owe (and I do mean owe) this place. It’s just that there is so much history in this place. The COBO Center. While I was stepping in, I could only imagine what it must have been in the late sixties or seventies, with it being THE place, with concept cars looking like spaceships, and automotive legends such as Caroll Shelby or Lee Iacocca walking around. Even as a consumer, if there was a motorshow more convenient to where I am, I would still go to the big five autoshows: Paris, Geneva, Frankfurt, Detroit, Tokyo. Why? Because they are the ones that made history, and just for this, we should honor them. For this, they deserve the trip and they deserve our eternal admiration and gratitude. We should all honor them. Honor the men who dedicated so much time and effort creating dream concept cars, and honoring the people who made this possible by organizing these shows. You are our heroes. 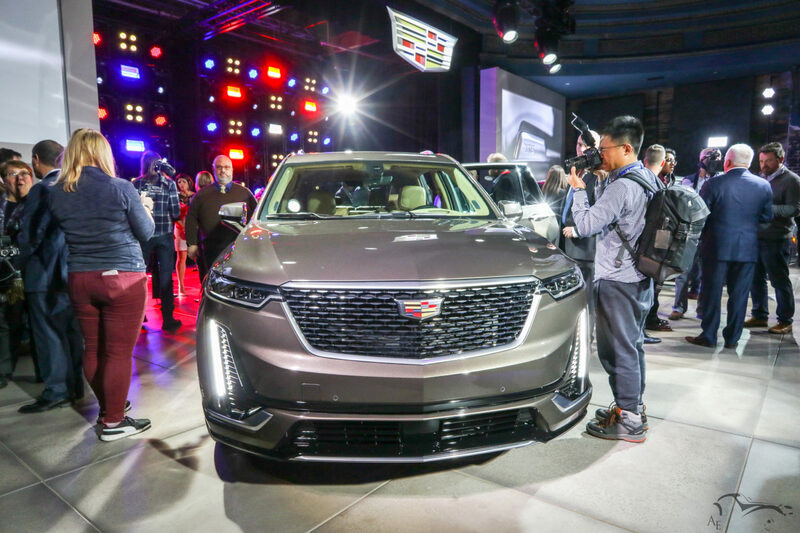 The event started on the Sunday night with the press conference from Cadillac, held in the Garden Theater of Detroit instead of the COBO Center where the NAIAS is held. I found this choice of location rather interesting, but the place was actually a perfect fit, showing how the Motor City has been able to rebirth from its own ashes. The old building had been renovated in 2012 and matches perfectly the new artistic look of Detroit’s iconic Woodward Avenue. Detroit’s luxury flagship brand ended up 2018 with record sales of over 300’000 cars sold worldwide, and plan to increase their vehicle launch to one new car every six months. This sounds like a very impressive rhythm! 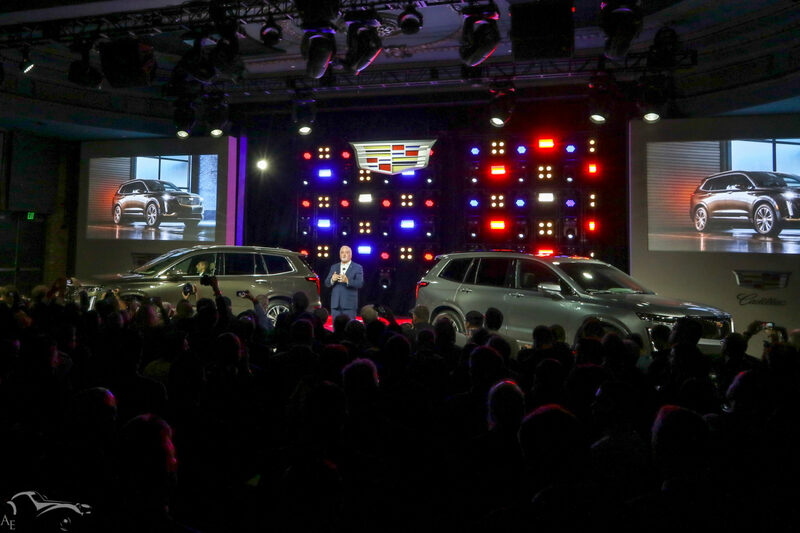 Additionally, Steve Carlisle, current President said that Cadillac’s autopilot was ranked better amongst consumers than Tesla’s system, and the brand will keep focusing on bringing new mobility oriented technology in its upcoming models and be the lead brand for General Motors electrical vehicles with three targets: 0 crashes, 0 emissions, 0 congestions. Their big news was the presentation of the XT6, a new SUV supposed to fill the gap between the smaller XT5 and the Escalade flagship. Two versions were presented, a Sport and a Luxury with barely noticeable differences. Both will have Cadillac’s 3.6 liter V6 associated with a 4-driving mode 9 speed automated gearbox, have a 7 seater capacity just as the Escalade, but being sensibly smaller. The brand wants as well to continue building a visual identity with its vertical front light signature, which I personally like a lot. Given, how old the Escalade is now, I know what my choice would be if I was shopping for a luxury American SUV. Go to Page 2 below to see our Gallery.